Renowned as a glamorous financial hub and a top choice for luxury shopping, Hong Kong is steeped in history and culture. It has much more to offer than impressive skyline and mouth-watering dim sum. It exudes an energy that can barely be described. There is something new and unique waiting to be discovered in the nook and corner of this city-state. A visit to Hong Kong offers sweeping views of the sea, land, wonderful beaches, traditional fishing villages, and incredible architecture. The city is undoubtedly one of the most impressive cities that you will find in the world. Located on the top of a glossy shopping complex, Pacific Place, this sleek 117-room accommodation is for those who are at ease with gadgetry. The Upper House offers guest services via an iPod Touch or via iPad. 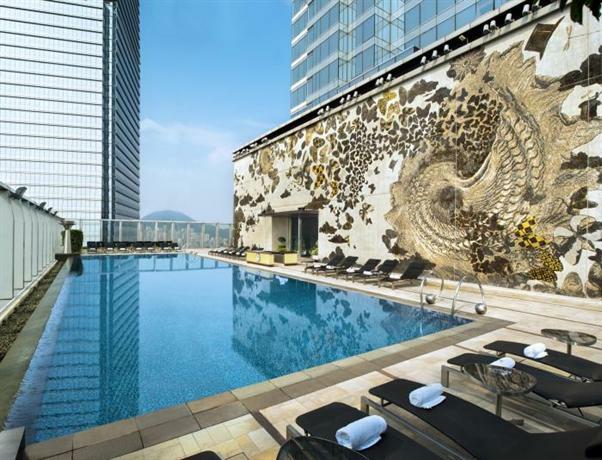 The location of MTR station in the vicinity ensures that the guests are connected to the Central Business District. Buses and trams are plentiful in this region. Hong Kong Park is located right behind this hotel. Spaciousness is the factor that distinguishes the Upper House from the rest of the hotels in the city. The standard room offered to the guests is one of the biggest in the city. The bathrooms are huge and every room is equipped with basic amenities including snacks, yoga mat, and drinks. This hotel houses one restaurant, Café Fray Deluxe. The Sky Lounge serves snacks all through the day. Both the restaurant as well as the snack outlet is stylish and popular amongst local residents. People preferring seclusion can retire in The Lawn which is famous for serving alfresco cocktails. This award-winning hotel offers spectacular views, exudes an aura of exclusivity and houses Michelin-starred restaurants. This hotel is located right in the heart of the city but still manages to remain far away from the chaos. 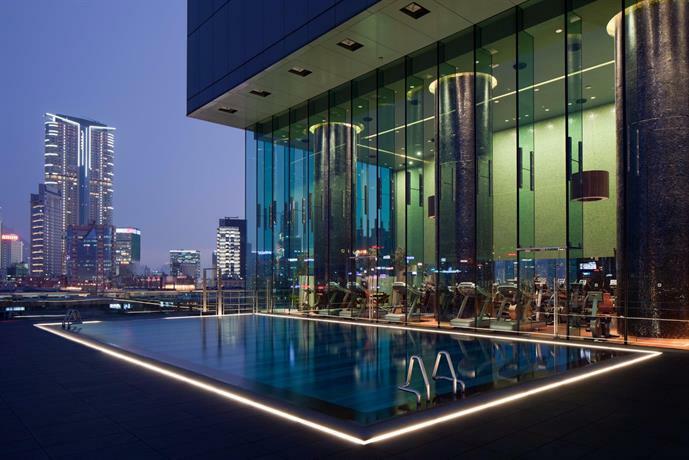 It is located closer to the central MTR station and above the Airport Express. It has its own entrance to the International Finance Center Mall which also comprises of links to the Macau ferry terminal, Central-Mid-Levels escalator, Central Business District and to the Central Ferry Piers. This hotel dazzles literally. All the restaurants in the hotel feature the reflection of light from the harbor. The hotel houses an exclusive infinity pool with a great spa and underwater music. This hotel features 399 bright, crisply decorated rooms which include 54 suites. Opt for a harbor view room for experiencing some of the mesmerizing views of the city at night. All bathrooms feature walk-in showers and have deep baths. There are two bars in this luxe hotel and four places to dine. 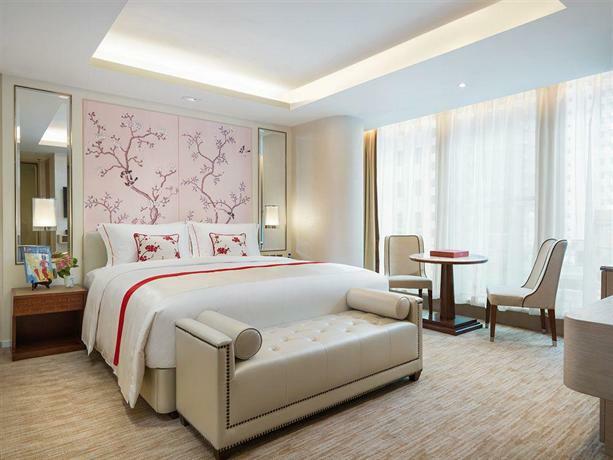 Lung King Heen, which was the first Chinese restaurant to secure three-Michelin-star rating, is housed in this hotel. Caprice features an amazing décor and has two Michelin stars. Plenty of dining options is available in IFC mall as well. 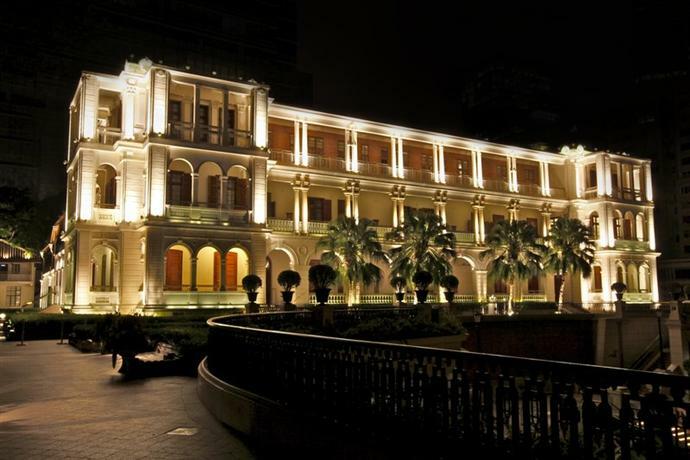 The Hullett House is one of the most picturesque hotels in the city of Hong Kong owing to its location. Located directly opposite to the Cultural Center, plenty of transport links are available from this gorgeous hotel. 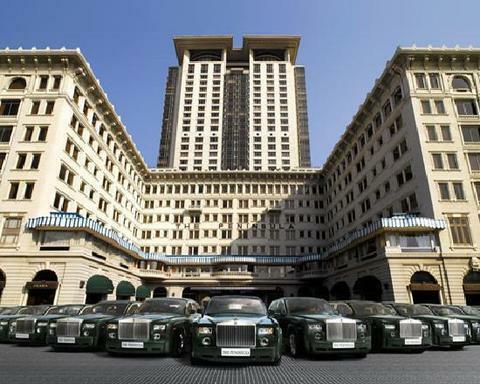 The hotel supplies a free Bentley to its guests for ferrying across short distances. The Airport Express line and Kowloon station are located in the vicinity. The suites have been fashioned based on themes which include Scottish Baronial and the faintly Swedish themes. The rooms are huge, are wooden floored and comprise of enormous balconies. The rooms house free minibars, centralized lighting system and free smartphones for the convenience of the guests. Complimentary ironing is as well offered to the guests. There are seven eating outlets in this hotel which include a Cantonese restaurant, a British Pub, and Stables Grill. The Cantonese Restaurant is the first accredited whiskey venture and serves over 100 varieties. The Landmark Mandarin Oriental seems more like an urban sanctuary. This enormously metropolitan hotel is boutique-sized and features 113 guestrooms. The hotel packs a major punch both in terms of food and style. 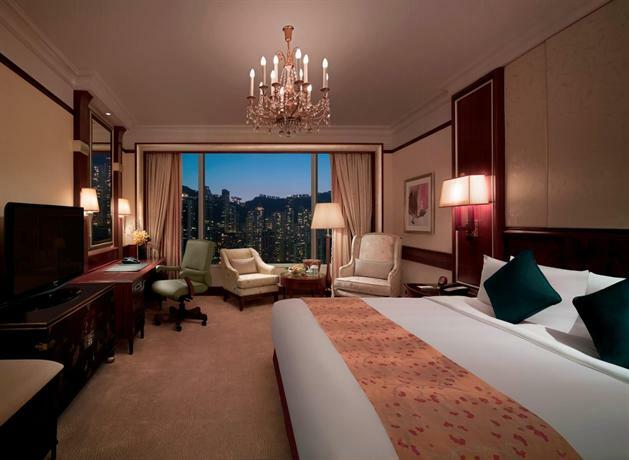 This hotel is at the epicenter of the business and shopping districts of Hong Kong. You can take a walk to the Airport Express from this hotel. The guest rooms are one of the biggest in the city. The rooms feature streamlined furniture, high-end fabrics and low-key colors which enhance the luxurious sense of spaciousness. Each room is equipped with a Nespresso machine plus a vitrine in addition to the complimentary daily treats from Amber, two-Michelin-starred restaurant. There are two dining areas in this hotel which include Amber and the MO bar. Located on the ground floor, the MO Bar is immensely popular amongst the guests as well as the locals. Vast selection of cocktails is offered at the bar. Amber has been listed as one of the best 50 restaurants in the worlds and serves divine food. The service offered is just incredible. The Ritz-Carlton used to be one of the highest hotels in the world offering stupendous vistas of the island, the loop of the harbor and the Kowloon. The reception of this hotel is located on the 103rd floor of the tallest building in Hong Kong, International Commerce Centre. It is located right above the Kowloon MTR station. The airport can be reached in 20 minutes on the Airport Express. You need to walk through the Elements mall to reach the station from the hotel. The hotel, however, runs shuttle buses. This is one of the hotels in the world where you will take a stunned step back when you walk over to the window. Padded seats are offered along the ledge so that you can sit and enjoy the mesmerizing views. 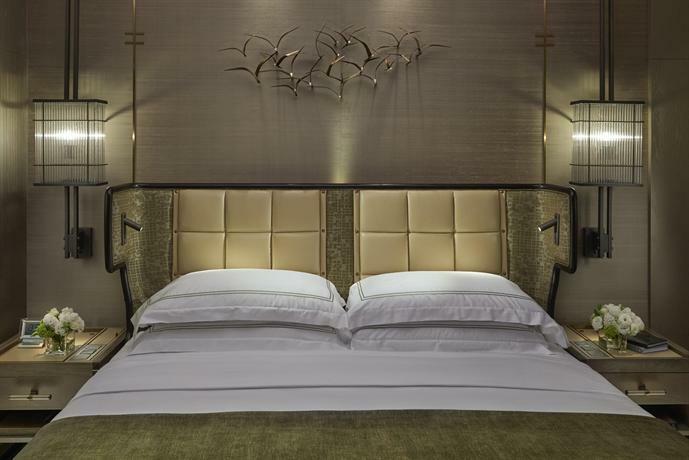 The rooms are spacious and are equipped with Asprey amenities and Nespresso machines. The restaurants of this hotel are quite popular with the locals as well. Tosca is an Italian restaurant and Tin Lung Heen is a Chinese restaurant which two Michelin stars. 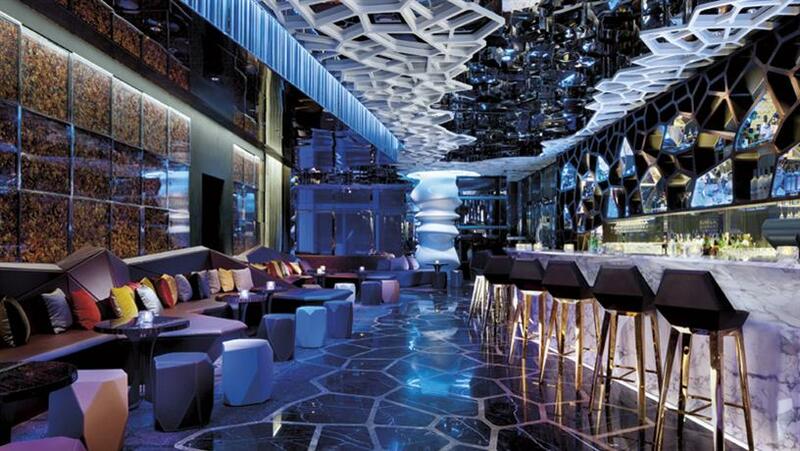 Ozone is the highest bar in the world and is located on the 118th floor. It is known for live music and offers serving delectable sushi and tapas. Café 103 offers dinner and lunch buffet. The Lounge & Bar features lovely window seats where the guests can indulge in all-day dining. It would not be wrong to call the Pen as the grand old lady of the hotels of Hong Kong. The tourists are mesmerized by the colonial façade of this glorious hotel which is located at the tip of mainland China. The location is ideal for those who love to indulge in shopping. The Star Ferry, MTR, and numerous museums can be found in the vicinity. This hotel offers mesmerizing views of the island of Hong Kong. All the 135 rooms in The Tower and 165 rooms in the original building have been customized with state-of-the-art touchscreen tablets which help one regulate entertainment, room service, curtains, light and temperature from their bed. The rooms feel bright and uncluttered. The hotel features six restaurants including one Japanese and one Swiss. The Felix restaurant on the 28th floor is worth visiting for excellent views and food. It features two drinking areas. This luxe paradise since 1973 has been a fixture of the social life of Hong Kong. Located in the heart of the Central Business district, the Airport Express Station can be reached in 5 minutes from this hotel across a footbridge. The 501 suites and rooms are been designed smartly for maximizing space. Television screens have been set in swiveling mirrors in the bathroom. The walls have been adorned with traditional and modern images of Hong Kong. This hotel features three Michelin-starred restaurants. There are seven dining and drinking outlets in this hotel which are popular amongst the local residents as well. The M Bar offers sensational views of the harbor and is located on the 25th floor. It sparkles into life at the night time though it opens up from 11 am. The overall offerings of this hotel are delightful. Want to escape to an extravagant Victorian palace set along the South China Sea? 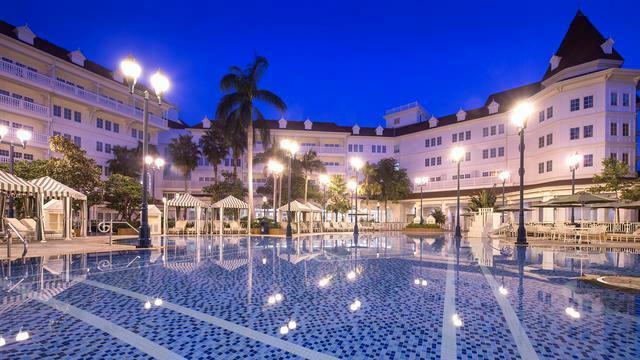 If yes, then consider the Hong Kong Disneyland Hotel for your stay while in the city. You can savor in the exquisite delicacies from all over the world when you choose to stay at this hotel. You can explore the maze which is in the shape of Mickey Mouse or your lounge the day with a poolside cocktail. This luxurious hotel boasts of stately accommodations that have been equipped with modern amenities. This vintage themed resort houses two pools. It is located 10-minute walk away from the entrance of Disneyland. Free shuttle service is offered to the guests of the hotel. You need to walk for fourteen minutes to reach MTR Disneyland Resort Station. You can take a taxi to reach Hong Kong International Airport in 20 minutes. This hotel houses 200 rooms. The Sea View rooms come with balconies. The rooms are spacious and feature a private bathroom comprising of a bathtub and a shower. The guests can make use of the heated swimming pool, outdoor swimming pool, well-equipped fitness center, and a lot more while at this hotel. The main lobby houses extensive selection of merchandise. Crystal Lotus, an upscale Chinese Restaurant serves delectable dim sum. Enchanted Garden Restaurant lets one dine at the Enchanted Garden Restaurant. The Walt’s café serves hearty international dishes. The complimentary wireless connection is offered in the park, hotel public areas and in the guestrooms. 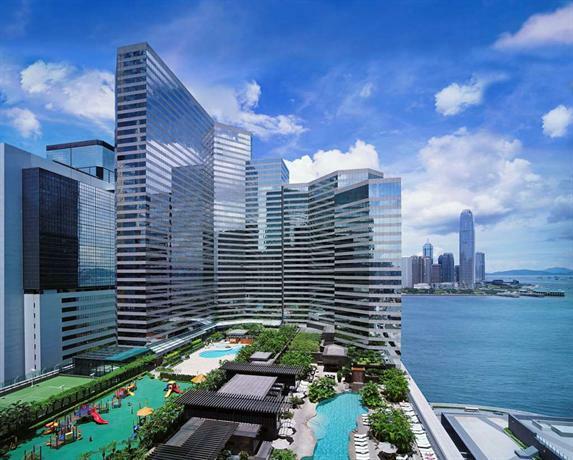 Located adjacent to the International Commerce Centre, the W Hong Kong offers an incredible experience to its guests. Located on the western side of the Kowloon peninsula, the W Hong Kong is located on the top of Elements Mall which also serves as an Airport Express Station. Free one-way shuttle bus is offered by the hotel to the prominent spots of Tsim Sha Tsui. The hotel is located close to the Western Harbour Tunnel. You can reach the Hong Kong Island in five minutes if you get a taxi from the hotel. All the 393 rooms are decently styled. Few rooms offer an emphatic sense of the sky and the sea. The main all-day restaurant is the kitchen. Woobar serves light fare and drinks. There is a Cantonese restaurant on the ground floor- Sing Yin. A brownie-buffet is offered by the spa as well. The Elements Mall is packed with eateries. 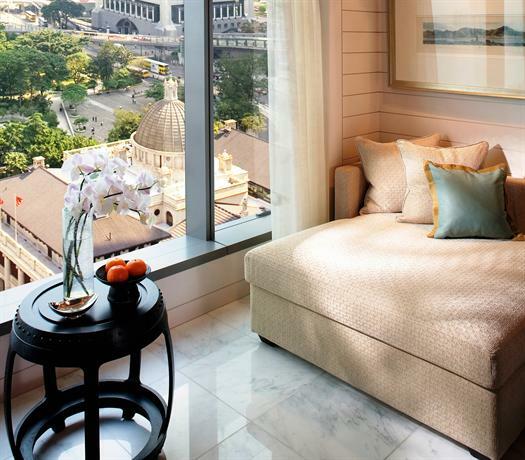 The Grand Hyatt lets you sleep next door to the Convention and Exhibition Centre of the city. 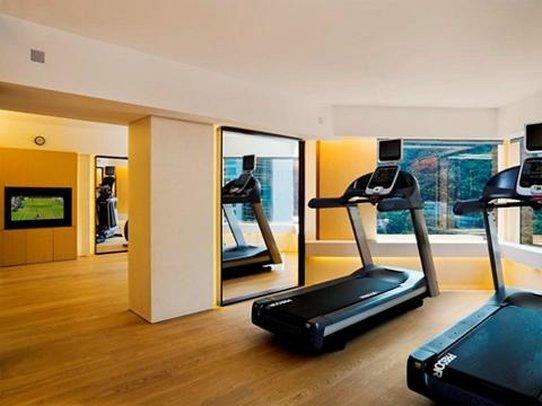 It is spacious and houses a heated swimming pool, children’s play area, a jogging track and a garden. The hotel is located in the vicinity of Wanchai MTR. All 545 suites and rooms underwent a massive renovation during 2016. They now feature glass-walled bathrooms and a sleek design. Everyone is offered a handy smartphone and a Nespresso. The guests can pick rooms that offer the view of the harbor. This hotel features seven eating outlets which includes an Italian and a Japanese restaurant as well. There are two bars in this hotel. An opportunity to admire city views and indulge in excellent wine is offered by The Waterfall Bar located on the 11th floor. A fantastic breakfast is served in the Grand Café. This is a conveniently located hotel that has a loyal clientele despite the entry of luxurious hotels in the city since 1990. 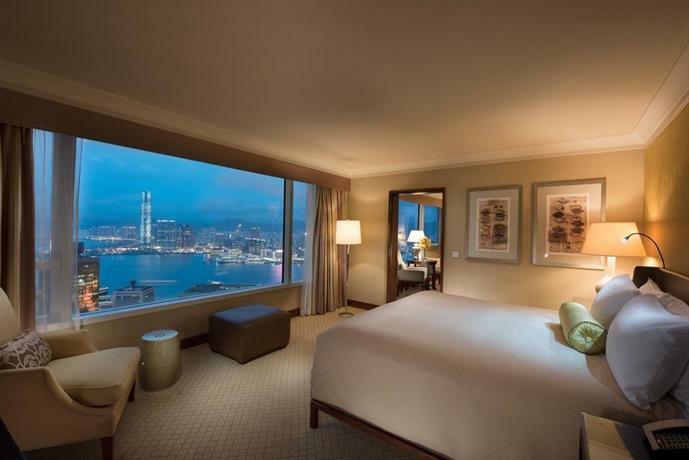 Connected to the Pacific Palace which is a high-end mall located above the Admiralty MTR station, the Conrad has its rooms located on floors 40 to 58. The hotel offers a plethora of options for early morning strolls as it is located right next to the Hong Kong Park. The rooms offer views of the peak or the harbor. The rooms are pleasantly comfortable and the bathrooms feature double basins. Bathroom amenities can be chosen well in advance through the Conrad’s Concierge app. All rooms are equipped with Nespresso machines. This hotel houses six restaurants which include Golden Leaf, a Chinese restaurant, the Lobby Lounge famous for its curry buffet and Nicholini, an Italian restaurant. Located in the heart of Central, this boutique hotel is a lovely haven inside if you forget the noise and the crowd outside. The entrance of this hotel is located on the Stanley Street. The hotel is located close to the Central MTR Station as well as the Airport Express. The rooms are of a decent size although only the suites feature bathtubs. Every room is equipped with a smartphone and a Nespresso machine. The smartphone can be used to make free international calls and access internet for free. There is just one in-house restaurant in this hotel which also serves as a bar. The Gradini serves delicious Italian recipes and has been charmingly designed. There are two restaurants in the building which are not connected to the hotel. There are numerous bars and restaurants in the surrounding area. 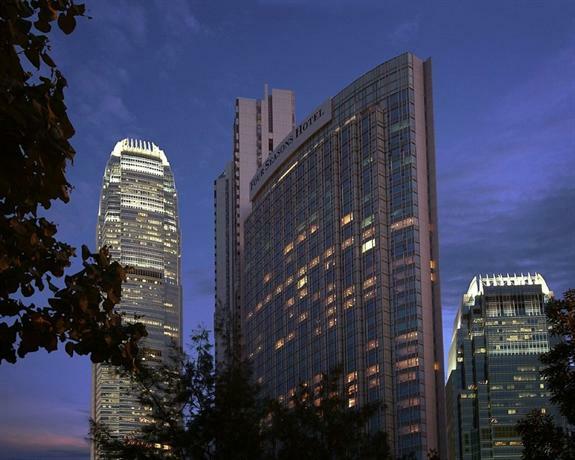 If you wish to experience an iconic view of the island, then you need to consider staying at the InterContinental Hong Kong during your stay. Two-thirds of the rooms, all the suites, and restaurants of this hotel offer harbor views. 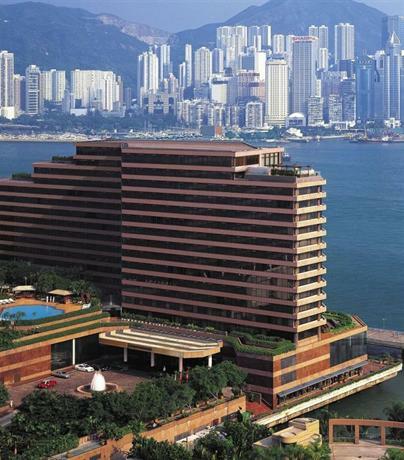 Built over Kowloon waterfront, the InterContinental is located 10 minutes from the Star Ferry. Tsim Sha Tsui is the nearest MTR station. The layout of this hotel has been designed as per Feng Shui principles. Every room has a sunken bath, 24-hour butler service, and a handy smartphone. The hotel offers 92 suites of which the presidential suite is the biggest in the city. The hotel houses five superb restaurants which include Rech, a seafood restaurant, NOBU, a Steakhouse and Yan Ton Heen, a Cantonese restaurant. Hit the Lobby Lounge and try the historic #852TAILS if you are found of the post or pre-dinner cocktail. Still offering high-end reliability since it opened up in 1991, the Island Shangri-La is a relief for guests who love cozy and glitzy. This hotel is a part of the Pacific Place mall complex and sites on the stop of Admiralty MTR station. This hotel houses 779 Venetian and Austrian chandeliers. Here is a massive painting on silk which is titled “The Great Motherland of China” which is 16-storey high. The beauty of this painting can be admired from the bubble lifts. The rooms are extremely spacious. The guests gain access to the Horizon Club if they upgrade to the club rooms between 52nd and the 55th floors. This hotel houses eight restaurants which include French and a Japanese restaurant. Locals love Café Too which is known for its international buffet. Well-located, well-run and well-designed, hotel ICON is run by the Hong Kong Polytechnic University. Training to the school of hotel and tourism management is offered at this hotel which is located five minutes from the Tsim Sha Tsui East MTR station. The hotel runs a morning ferry during fairs to the Hong Kong Convention and Exhibition Center. The hotel is located right next to the Hong Kong Museum of History. The bright rooms offer amazing views of the harbor and are equipped with a Nespresso, a minibar, and a handy smartphone. Each room features a Japanese-style bath. Free tesla car ride to the airport is offered to the guests who stay on the club floor for a minimum of two nights.